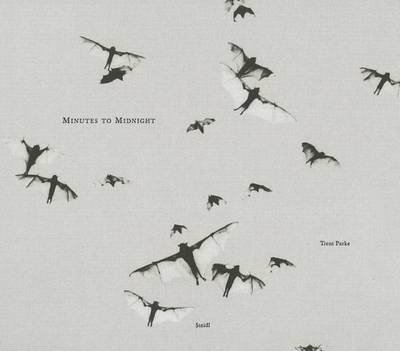 "Minutes to Midnight is an apocalyptic book, but they are real documents, they're real events, real moments in time that have happened," explains Magnum photographer Trent Parke. Shot over the course of two years and covering over 90,000 km, Minutes to Midnight is a seductively dark, black and white, enigmatic narrative of Parke's homeland of Australia.--The Editors "Juxtapoz "
Trent Parke, born in Newcastle Australia in 1971, joined Magnum Photos in 2002 and has been a full member since 2007. Parke has exhibited internationally and has received numerous awards including World Press Photo Awards in 1999, 2000, 2001 and 2005, and the W. Eugene Smith Grant in Humanistic Photography in 2003. His publications include Dream / Life (1999), The Seventh Wave with Narelle Autio (2000), Bedknobs & Broomsticks (2010), and the long-awaited Christmas Tree Bucket, also to be published this season by Steidl.